For those of you who use MeL Database BusinessDecision<http://galesupport.com/migeoipcheck/migeoipcheck-bd.php> as you work with entrepreneurs and anyone interested in business development and growth, there are updated resources you might find helpful. The 12-page guide to using the resource and the MeL Marketing flyer have just been revised and are available to download and print. You will find links to these items in the description of BusinessDecision by clicking on "More<http://mel.org/r1444/businessdecision>" (User Tools) as found in the alphabetic database list, as well as the CIVIC Technologies classification in the MeL Promotion & Training<http://mel.org/index.php?P=MeLGateways&ParentId=204> section on the MeL homepage. 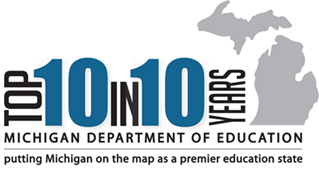 CIVIC Technologies also offers free training webinars for Michigan libraries. Two are available during June. Special Topics: Market Segmentation and LandScape will be on June 7, and Overview and Update session is on June 9. Visit the BusinessDecision section in Promotion & Training or click on "More" in the description to find registration information. Michigan residents or Michigan library access only.